2. Eat the dark meat. 3. Get dirty, wet, and cold on purpose, leaving a flock of snow angels behind. 4. Appreciate your cousins. Play with them. 6. Watch the Macy’s Thanksgiving Day Parade. Make sure to high-kick with the Rockettes. Or low-kick. Or flick your toes. 7. Truly enjoy the sight and sound of coagulated cranberry oozing out of a can in one gelatinous cylinder. 8. Make a turkey with your handprints. 9. Wear mittens instead of gloves. 10. Make candy cane fangs. 12. 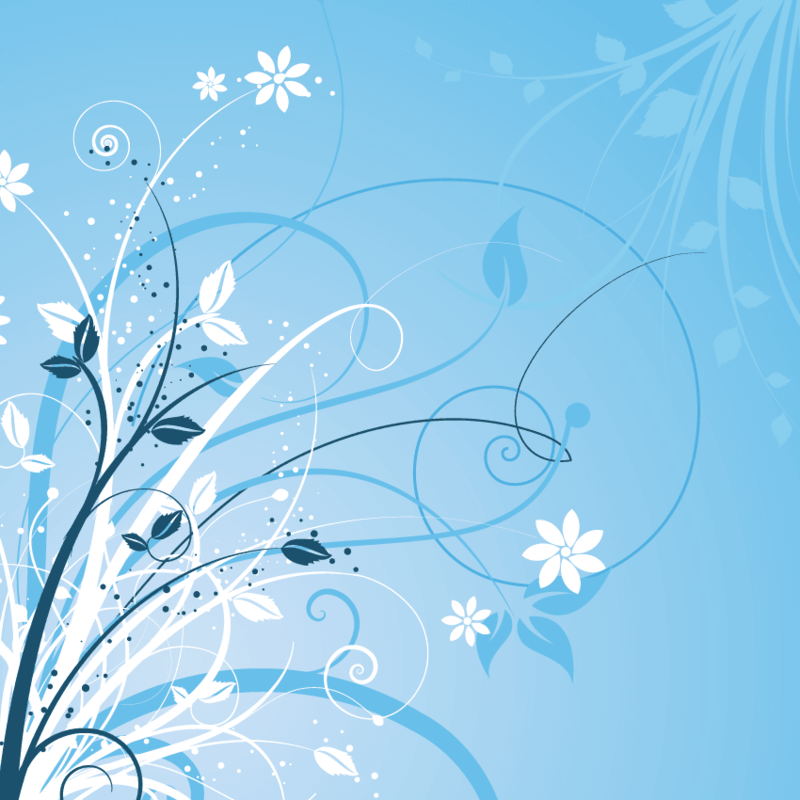 Make handmade gifts. Pinecones are nice. 13. Wear jingle bells and obnoxious sweaters in public, and not because you’re going to a hipster holiday party. 14. Look for the gaudiest, most over-the-top light shows in your town. Instead of driving by at 5mph, get out and walk up to it. 15. Bite the head off the gingerbread man like the fox you are. 16. 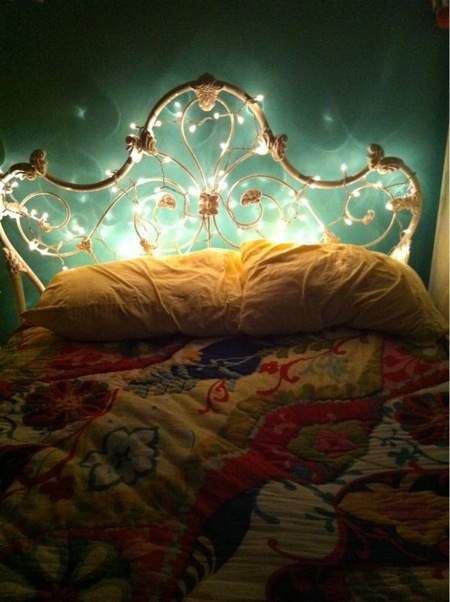 Hang twinkly lights in your bedroom. 17. 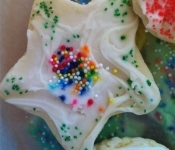 Make sugar cookies and drown them in sprinkles and frosting. 18. Hot cocoa ratio: 50% liquid, 50% mini-marshmallows. 19. Write a letter to Santa. Send it. 20. Buy a chocolate Advent calendar for yourself. Note one serving is the entire calendar. 22. Go see a production of The Nutcracker. Then beg someone to let you take ballet lessons. Also, put on a ballet show for your family. 23. Watch classic animated holiday specials after your kids are in bed. 24. String popcorn and cranberries on thread. 26. Make a gingerbread house, then eat the roof like the big bad wolf you are. 27. Peruse a toy catalog and circle what you want with a fat red marker. 29 Go caroling at your neighbors’. Won’t they be surprised to see you when it’s not even Halloween! 30. Drop money in red buckets every time you encounter one. 31. Smile at random people. 32. Stick your tongue to a cold lightpole. No, don’t. 33. Eat your weight in gold coins. 35. Be a Secret Santa and help someone, but don’t tell them. Let them wonder. 36. Camp out under the Christmas tree. Sleep there all night with the tree lights on. 37. Read ‘Twas the Night Before Christmas and giggle when you come to the part about the moon on the breast of the new-fallen snow. 38. Wear decorative stockings on your feet at least once. 39. 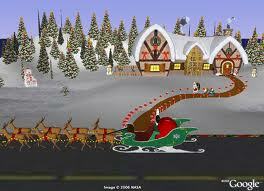 Visit the NORAD Santa Tracker site without your kids looking over your shoulder. 40. If you travel, make sure to lead everyone in a rousing “Over The River and Through the Woods” even if you’re going over a hill and through a drive-thru. 42. Stay up late, get up early, not because you must but because you don’t want to miss a thing. Would it make me a kid again if I set the goal to do everything on this list? 🙂 I’m all about No. 25. #22 made me literally laugh out loud! That is something I totally did as a kid! #13. Yes.You know I will.